» Guest Post: Is the Future of Value-based Healthcare Payments at Risk? 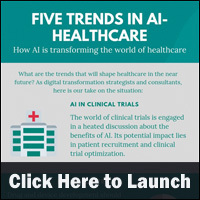 This entry was posted on Friday, November 2nd, 2018 at 1:30 pm	and is filed under Digital Health, e-Health, Health IT, Healthcare Trends, Infographics. You can follow any responses to this entry through the RSS 2.0 feed. Both comments and pings are currently closed.